Ex-presidential aide to former President, Goodluck Jonathan, Doyin Okupe has warned umu Igbo in the north and the Nigerian government that the quit notice issued to ndi Igbo in the on Igbos by Northern youths is real and still stands despite the lengthy reconciliatory moves and meetings advanced by the acting president, Prof Yemi Osibanjo. 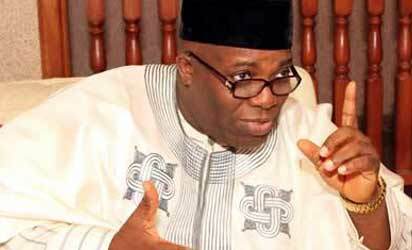 Okupe who issued the warning via a Facebook post entitle “Where does Nigeria go from here?,” stated that it is only God and government can save Nigeria now. “I personally believe that, no matter what we hear officially delivered to Aso rock, the October quit notice for the Igbos resident in the north is REAL, live and will subsist. “Anything contrary to this is grand deception and delusionary. “The inevitable conclusion therefore, looking carefully at the scenarios and strong positioning of the Nationalities above, is that only God and government can save the country now.